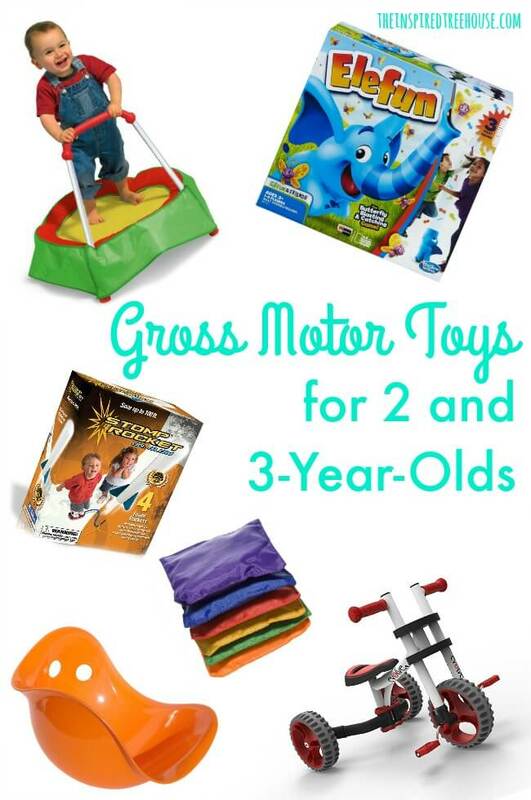 We’ve already shared our gross motor gift guide and fine motor gift guide, and we’ve heard from lots of you that it’s also helpful to have gifts for kids broken down by age so you can find exactly what you’re looking for as you fill up your sleigh this holiday season (and beyond)! 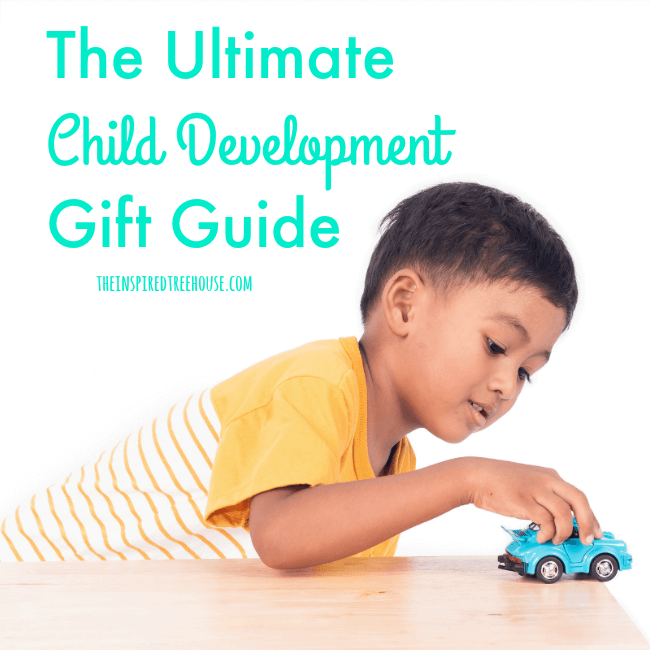 So today we’re coming at you with our super huge Ultimate Child Development Gift Guide – full of awesome toys and products that support healthy development by targeting fine motor skills, gross motor skills, and more! Brace yourself, this gift guide is HUGE. Don’t get overwhelmed though! Simply scroll down to the age group or skill you’re looking for and you’ll find everything you need to get a head start on your holiday shopping! The soft, cushioned, quick-folding and portable Super Mat features bright squares with engaging animal characters and patterns. At 59 inches wide and 39 inches long, the mat is big enough for sharing, whether it’s you and your baby or a play date with a group of little ones. The mat is suitable for both indoor and outdoor use, is machine washable, and is the perfect place for lots of tummy time practice! Your baby is fascinated with her hands at this age and these balls are the perfect accessory for her exploration. BPA-Free, colorful and easy to grab, this set of 6 textured balls will stimulate her sensory system as she plays! This cute little turtle is irresistible with its rewarding sounds and music as well as its ability to move! Your baby will love pressing the button and learning cause and effect as the turtles head pops out to encourage a little chase. Crawling has never been so fun! Wedge mats are great for encouraging gross motor skills, core strengthening and more. This sweet butterfly is covered in soft, 14 oz. vinyl that’s comfortable to play on and easy to clean. Your child will love climbing up and rolling down over and over again! This Adventure Set play tent is an adorable gift for all kids. The spring-pop tunnel tube joins the cubby tent & Teepee together to create a single play area. Each component can be used together or separately and it features fast and easy set up/breakdown with no tools for immediate play! Every child needs a mat to learn how to conquer a somersault or cartwheel, to practice jumping from color to color, or to prop up like a tent and hide under. Such a versatile toy that can be used just about anywhere! He shoots, he scores! Sensory Hoops Nubby Sensory Balls are easy to grip, even with wet soapy hands ensuring lots of long lasting, developmental fun! Grab our list of parachute games for kids and encourage cooperative play, strengthening and more with this gift that is good for any age! Streamers are great fun for movement activities and dance! A quick run-through of these activities for kids using streamers will target tons of developmental skills including: coordination, motor control, spatial awareness, and direction-following. This award winning Walker Wagon aids children in learning to walk. It includes a seat to push their favorite plush toy or doll and convenient pocket for toy storage. Motivating and fun! Toss them up, throw them to a target, walk with them on your head, pass them between friends, jump over them or use them as a base in a game of baseball. Beanbags are so versatile that I am positive your kids will come up with their own way to play in a heartbeat! I have not met a child that doesn’t love to jump! This mini trampoline is amazing not only because of its size but also because it has a handle. If you have a little one new to jumping or an older one ready to try hopping on one foot, this handle is a must! A rocking chair, a spinning top, a cradle, or a tunnel – children create countless uses for the award-winning Bilibo, both indoors and out. Meet the new YBIKE Evolve 3 in 1 Trike developmental ride-on. Designed for children between the ages of 2 and 5 the Evolve focuses on the early developmental skills for easy transition to a normal pedal bicycle. Cool design and even cooler adaptability! Don’t forget a sweet helmet to go along with it! No battery or fuel is needed to get the rockets airborne–just some old-fashioned stomping power. The glow-in-the-dark feature of this rocket is a big bonus! Kids get a balance, body awareness and motor planning challenge with this game of fluttery butterfly chase. Like a skateboard without wheels, Kick Flipper is an excellent way to learn the balance, footwork, and coordination basics that are essential for skateboarding, snowboarding, and surfing. Kids can give it a try on carpet, grass, or sand. Kids kick off the ground as if running, pushing or scooting themselves and the bike forward. Perfect for learning balance, steering, coordination and independence to progress toward a 2 wheel pedal bike. If you’re on the market for a well-made, durable, and versatile toy for kids, look no further than this little square scooter. Nothing can get a kid more excited about therapy than whizzing down the hallway on one of these babies! 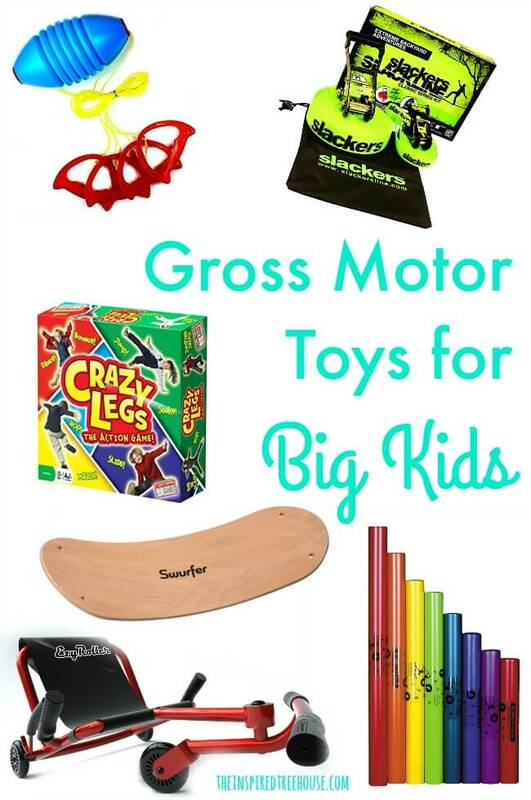 Try one of these awesome scooter activities and keep them busy for hours! 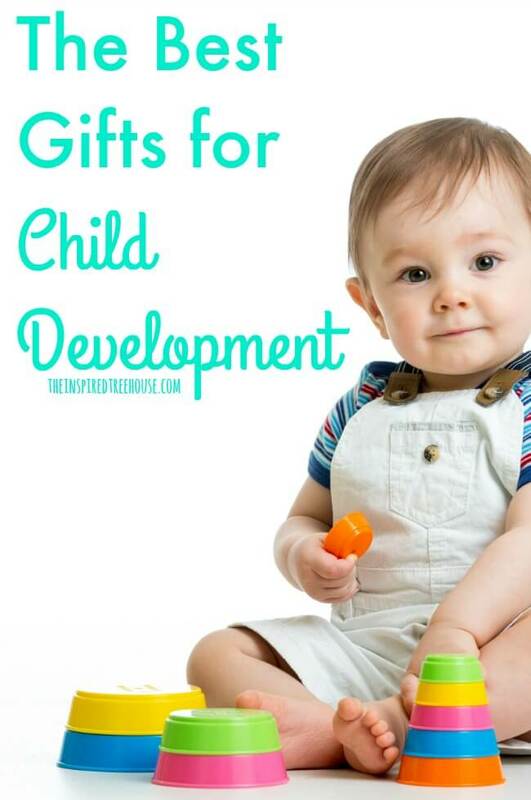 This simple toy is perfect for tackling all kinds of developmental skills – teaching balance and coordination while providing sensory feedback in the form of proprioceptive stimulation. Give a child and watch their imagination run wild as they play! This sack-shaped costume made from Lycra Spandex with a hook-and-loop closure assists in developing spatial awareness through balance and resistance and encourages creative movement for children 3 to 5 years old. Encourage some amazing balance with this rocker board that would make the perfect bridge in the middle of an obstacle course or a great place to stand at a countertop to color while getting the wiggles out! Your child will be amazed as he holds one or two of these eight perfectly-tuned percussion tubes and whacks them against his arm, thigh, or any hard surface to produce sound. The mother of all balancing experiences…a tightrope! Right in your own backyard! Seriously, this thing could set the stage for hours of fun. Kid’s like the football style and acceleration of this game. 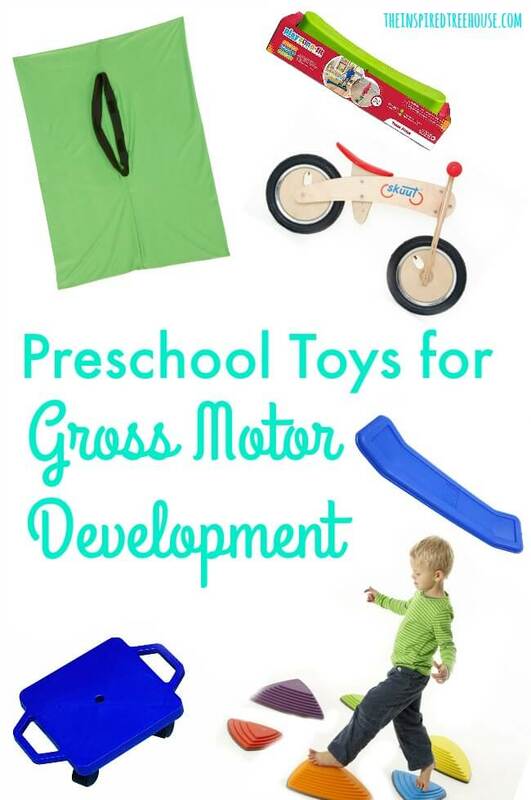 It’s the perfect prop for encouraging tons of developmental skills like balance, bilateral coordination, hand-eye coordination, and strength. Check out our 5 ways to play with the zoom ball. On this sit down scooter your child will be smooth sailing across playgrounds and sidewalks. The EzyRoller Ride On Classic provides hours of fun for anyone. It doesn’t matter if you are 4 or 14 this ultimate riding machine is guaranteed to be a blast. Bounce. Jump. Hop. Shake. Slide. Dance. March. The Endless Games Crazy Legs Game is a new, action-packed children’s activity that encourages energized, physical movement. The object of this family board game is for players to exercise their way to victory. The Swurfer is great for improving balance, core strength and more. The vestibular impact of this swing is like no other. You’re almost guaranteed to have your children begging to go play outside on their Swurfer tree swing set. 24 Colorful Clackity Hug Links rattle, clack, and connect all while being soft enough for teething babies. 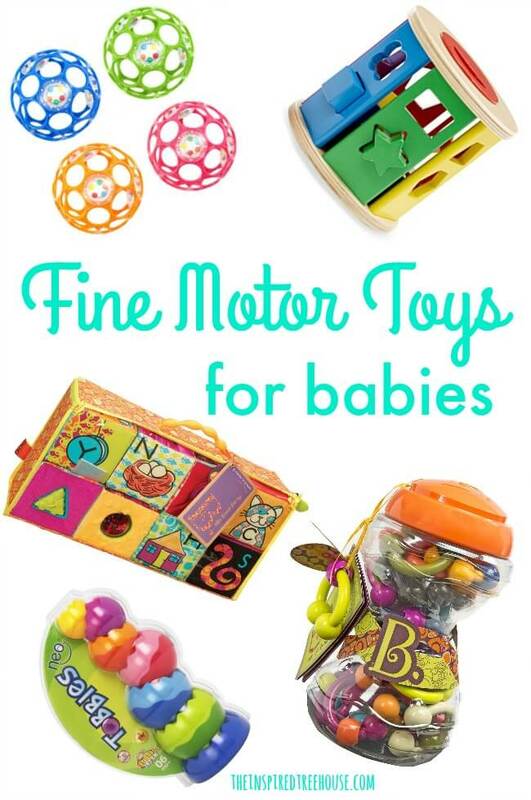 They are easy to handle and double as a rattle for extra sensory fun! This smooth, flexible ball has 28 finger holes making it incredibly easy for baby to grasp. Clear rattles with colorful beads make fun sounds as baby shakes it, chases it or drops it from her high chair for an awesome game of cause and effect. This toy might be the first STEM experience for baby! 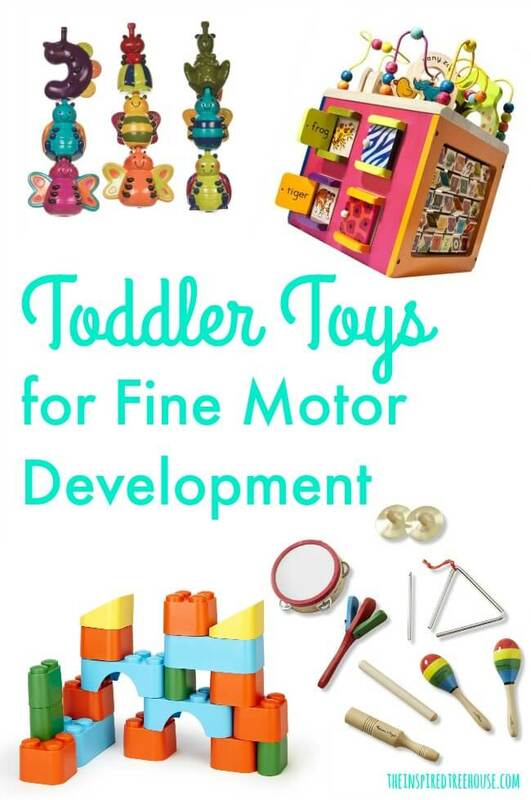 It provides sensory exploration, fine motor skills, coordination, and visual spatial acuity as baby stacks, topples, spins, balances, wobbles, tilts, wiggles, and rolls the colorful pieces. Baby will love to stack up and knock down the fun-looking, fun-sounding foam blocks and inserts for hours of playtime fun. This set features 8 fabric covered foam blocks with 6 interchangeable inserts to shake, rattle, and roll to keep your child entertained. This brightly colored wooden shape sorter is an exciting update on a classic toy! Toddlers can drop the dozen-plus vibrant wooden shapes through the color-matched holes, then roll the drum along, open the lid, and start all over again. 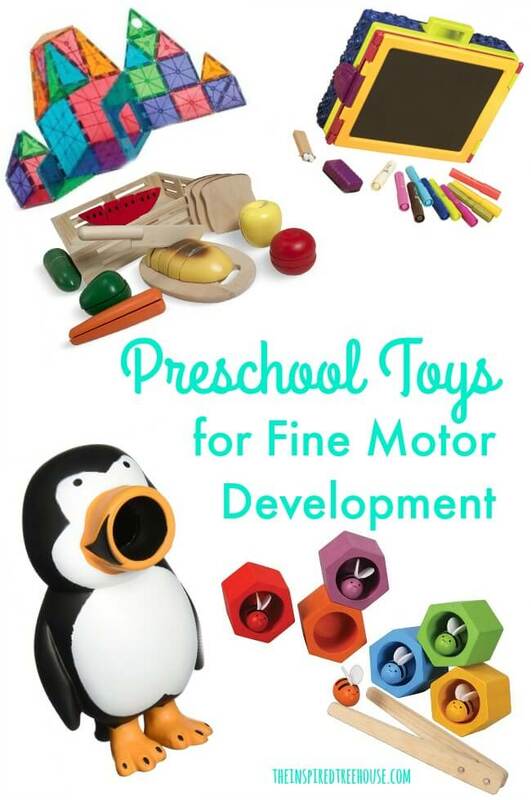 An early-learning powerhouse that encourages color and shape recognition, manual dexterity, and more! Everything children need to form a marching band, launch a solo career, or just enjoy exploring music and sound is right in this box. Through hands-on play with the 10-piece set children become familiar with basic musical concepts like rhythm, melody, and dynamics and practice developmental skills like bilateral coordination and crossing midline! Win, win! 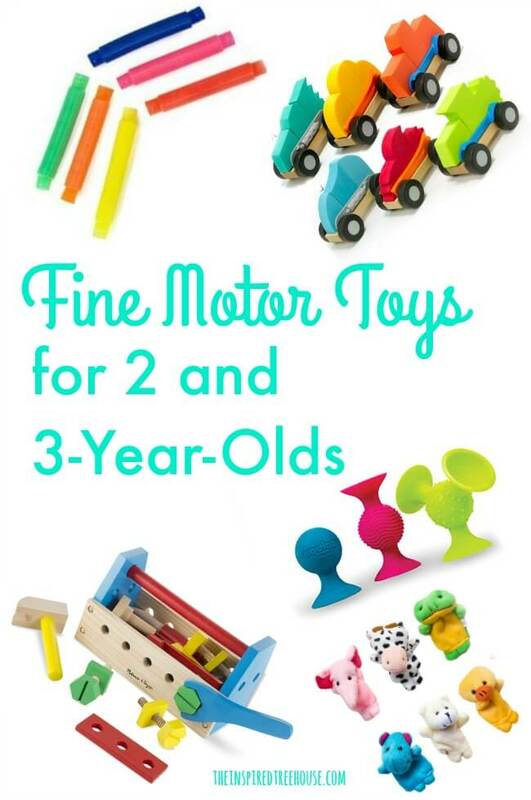 Tons of toddler fine motor fun packed into one toy! This activity cube changes the playing field for wooden blocks. Not just a solid cube with carved sides, it is filled with fun activities, brilliantly colored animals and a roller coaster on top. Perfect for small hands, these soft snug bugs are made of non-toxic plastic, and are meant to be squeezed, squished, chewed and loved as your child strings them together or stacks them up. The 18 boldly colored, lightweight blocks of this set are easy to grip and have better stacking action for little ones. Give your child a set and see what her inner architect can dream up! The sturdy wooden construction of this tool kit promotes hand-eye coordination, counting, sorting, color recognition, and problem-solving skills. Not to mention, the pretend play options are limitless! A great gift straight from an occupational therapist’s therapy bag, these colorful snappable tubes make a popping sound as they are flexed back and forth. We have told you before about the wonder of Squigz and they are still making the ranks of our gift guides. 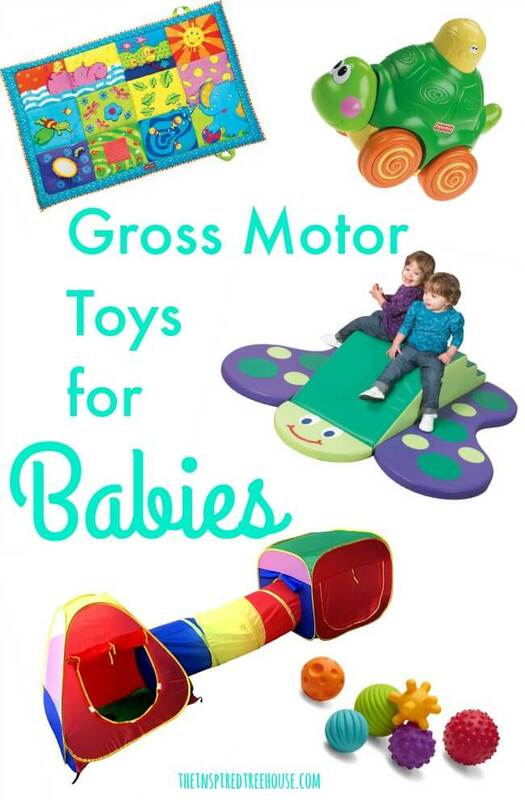 Kids LOVE them for their fun sounds, fresh tactile experiences and super-suction. You won’t believe all the ways to play with these fabulous gems! These wooden vehicles with interchangeable foam pieces encourages fine motor skills, creativity, and imaginative play Kids can mix all the parts to invent all kinds of amazing vehicles that will be zooming off in no time! A great toy for fine motor manipulation, these 3D magnetic building tiles that are designed for open ended play and to captive the minds and creativity of young children. Beautifully painted and incredibly real, this food is held together with velcro making it easy to “cut” through and serve. Kids love the pretend play this set inspires and we, as therapists, love the bilateral coordination and grip practice they get! These poppers are crazy fun! And, surprisingly, they are fabulous for core strengthening, hand strength and more! Your child will giggle out loud each time he squeezes the penguin’s belly to send the ball flying across the room. I don’t think I have ever seen such a cute toy! This one helps your child develop fine motor skills and learn to use her super fingers by matching a bee to hive by using a set of tweezers. With a whiteboard on one side and a blackboard on the other, your child will get to choose his surface for writing on a whim! Bonus: vertical surfaces are a great way to work on a whole host of developmental skills! The only way to play this challenging puzzle game is with two hands! Inside of the sphere your child will discover 22 feet worth of track containing 100 challenging barriers. Watch as he flips, twists & spins his way to the finish line! Perplexus is easy-to-use, but hard to master! Fold, loop, bend, twist, and turn to find a solution to these patterned challenge cards that invite curiosity, logic, and determination. This is the ultimate brainteaser that refines visual spatial skills. You start with string, pins, paper, and a board and end with adorable art. This kit takes the mystery out of what happens in between. 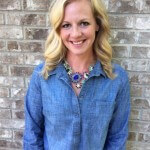 We love that your child will have a finished product to show of her handy work! 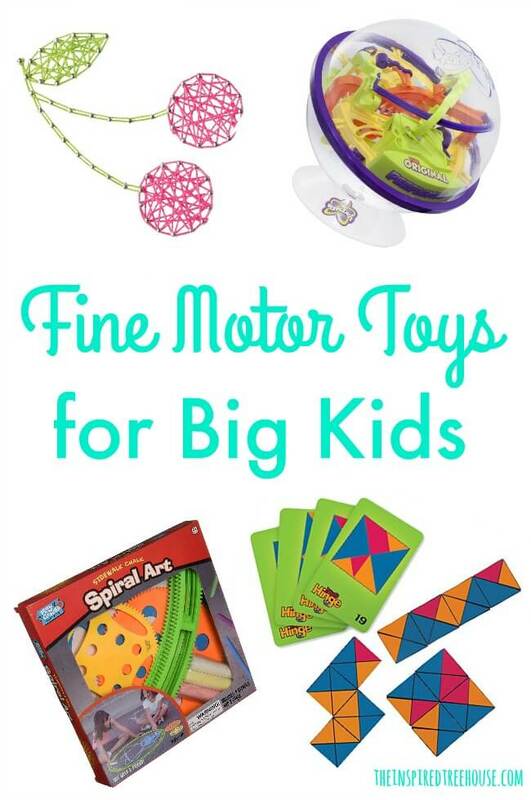 No child could resist drawing big, beautiful spirals with this oversized kit. Friends will congregate and your driveway will be filled with art! See? We told you this gift guide was huge! We hope you found something great for every child on your list. What did we miss? 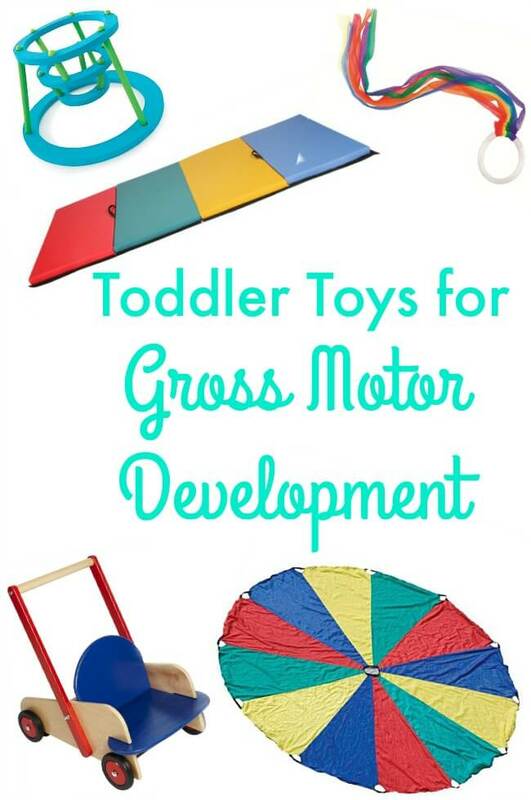 Leave us a comment below with some of your favorite toys for promoting developmental skills in kids!